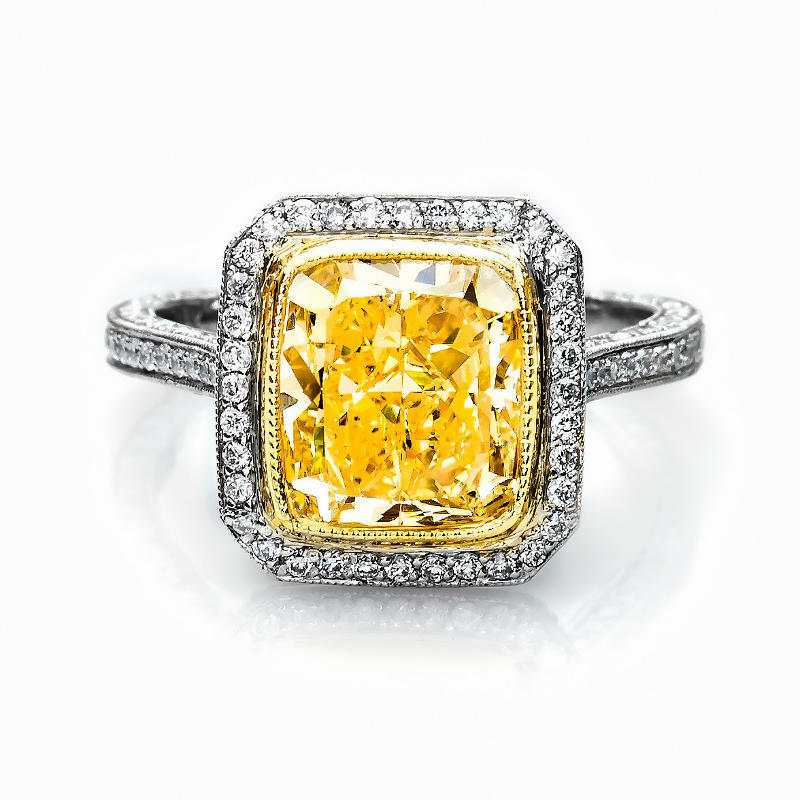 An impressive vintage style 4 carat light yellow diamond ring. Center diamond is a 4.00 carat Y-Z diamond with VS clarity (in-house grading). The diamond is mounted onto a magnificent platinum ring with 173 melee diamonds, G color SI q weighing 0.81ct bringing the ring’s total close to 5 carats. The center is in 18k yellow gold cup that tremendously enhances the yellow shade.